Daniel Guzmán, Sin título. 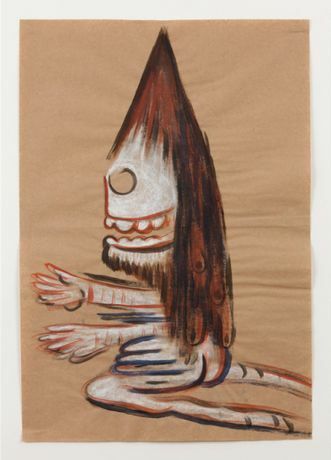 from the series: Chromosome Damage, 2014, 2014	Pastel, charcoal and acrylic on paper, 63.5 x 44cm	Courtesy of the artist and kurimanzutto, México. Daniel Guzmán, Sin título. 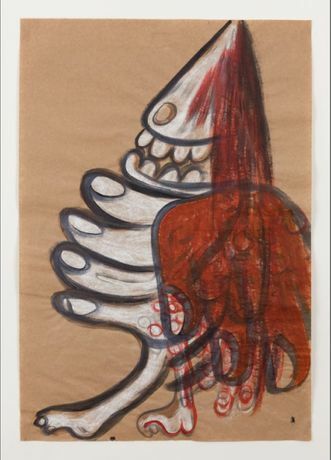 from the series: Chromosome Damage, 2014	Pastel, charcoal and acrylic on paper, 63.5 x 44cm	Courtesy of the artist and kurimanzutto, México. Chromosome Damage is an exhibition of 30 drawings by Daniel Guzmán, his first solo exhibition in a public gallery in the UK. Guzmán’s oeuvre is steeped in the context of Mexican and pre-Hispanic imagery. This new series reference the imagery and iconography of Aztec deities, goddesses and earth mothers. 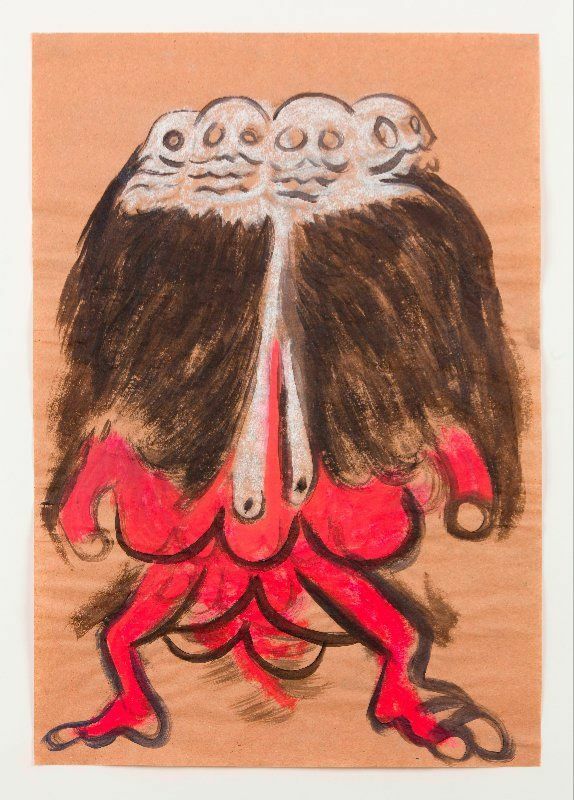 Each drawing represents a single voluptuous female figure baring teeth and pop out eyes, who goes through mystic and troubling transformations, growing extended limbs, multiple breasts and hands; feet become tree trunks and snakes coil round them. The works, made in pastels, charcoal and ink, using earthy colours of browns, pinks and reds, are tantalisingly rich and provocative. Daniel Guzmán (b.1964) was born in Mexico City where he lives and works. 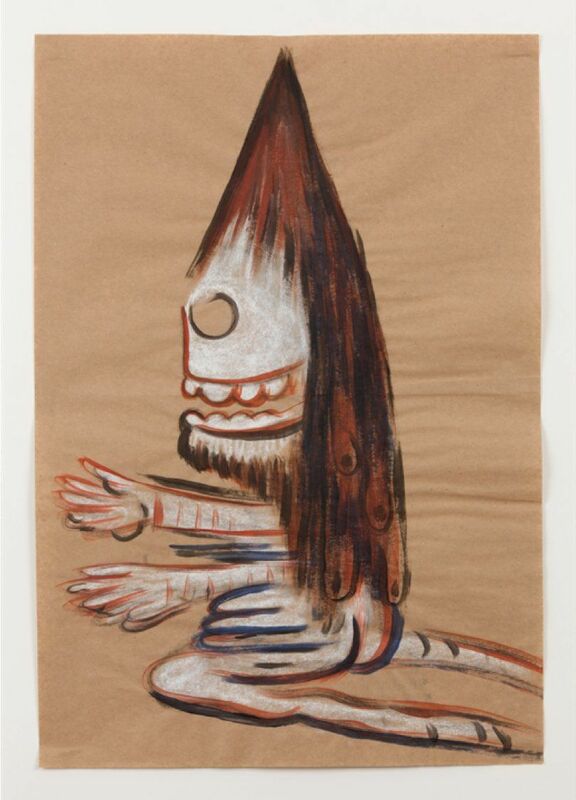 He has exhibited internationally, with recent solo exhibitions at Museo de Arte de Zapopan, Mexico, Museo de Arte Contemporáneo de Oaxaca, Mexico and New Museum, New York.